On June 1, 2007, Mr. Schalliol left his job as Indiana's Chief Financial Officer to return to the private sector joining a large Indiana law firm, Baker & Daniels, of Counsel. He is also pursuing private equity and venture capital opportunities. Mr. Schalliol was named Director of the Indiana Office of Management and Budget and Chief Financial Officer for the State of Indiana, as Governor Mitch Daniels’ first appointment, immediately following the November 2004 election. In this role, he had direct responsibility for the Administration’s budgets and financial organizations, including the State's two pension funds, as well as agencies with 2,000 state employees. He was also responsible for the State's efficiency efforts for all state institutions. He was active for the administration in all financially based legislative efforts. He led the financing of the billion dollar Indiana stadium and convention center project and was responsible for both the planning and implementation of the four billon dollar leasing transaction of the Indiana Toll Road. He led the Administration's effort to license the Indiana Lottery. Under his leadership, the State achieved it’s first balanced budget in eight years, passed four years of balanced budgets, and received credit upgrades from major rating agencies. Prior to assuming his responsibilities with the State of Indiana, Mr. Schalliol served as the first President and CEO of BioCrossroads, the Indiana-based life sciences initiative. In that role, he led the effort to create a comprehensive strategy for Indiana’s life science sector and the formation of several new businesses and two venture funds: the Indiana Future Fund 1 and Indiana Seed Fund 1. Preceding BioCrossroads, he held a variety of executive positions at Eli Lilly and Company, principally in strategic planning, investment banking, and business development. Most recently, he was Founder and Managing Director of Lilly’s three venture funds and Executive Director of Corporate Finance and Investment Banking. Mr. Schalliol led the purchase and sale of companies for Lilly including the formation of Guidant Corporation. He has held senior operating positions in a San Diego medical device company, IVAC Corporation, in operations, quality assurance, product testing, engineering, and regulatory. He previously worked in both public accounting and law firms. Mr. Schalliol holds a business degree with high distinction from Indiana University and a law degree from Yale University. He is active on several boards of directors of both for profit and not-for-profit corporations. President of Halderman Farm Management Service, Halderman Real Estate Services and Halderman Real Asset Management located in Wabash, Indiana. Mr. Halderman is an Accredited Farm Manager with the American Society of Farm Managers and Rural Appraisers and holds real estate broker’s licenses in Indiana, Illinois, Michigan, Ohio and Kentucky. He also serves on the Board of Directors for the Honeywell Foundation in Wabash, IN and the Wabash County Hospital Board of Trustees. He currently resides in Wabash, Indiana, one of FMC’s long standing rural marketplaces and has served on the FMC Eastern Region Advisory Board since 2010. Mr. Lehman is a Managing Director of The Cannelton Group (“Cannelton). He co-founded Cannelton in 2002. From 2012 to 2014, he was the President of Oerlikon USA Holdings, Inc. which is part of the Oerlikon Group (“Oerlikon”), a leading global technology company based in Switzerland. From 2010 to 2012, Mr. Lehman was the CEO of Oerlikon’s Drive Systems segment. This segment includes Fairfield Manufacturing Company Inc. (“Fairfield”), Lafayette, Indiana, the largest independent gear manufacturer in the United States, which Oerlikon acquired in 2007. When Oerlikon acquired Fairfield, Mr. Lehman was Fairfield’s President and CEO, and he continued in this position until 2012 and as Fairfield’s Chair until 2014. Prior to co-founding Cannelton in 2002, Mr. Lehman was President and CEO of Philips Lighting Electronics NA and Advance Transformer, a wholly owned subsidiary of Philips Electronics NV; and Senior Vice President of Worldwide Operations and General Manager of the Body Systems Division of ITT Automotive. Mr. Lehman is currently a member of the Boards of SCP Limited, Inc. and Ash Access Technology, and Chairman of the Board of Greater Lafayette Commerce. Mr. Lehman is a member of the Purdue University Board of Trustees and has served on the Indiana Commission for Higher Education from 2008-2010. President and Chief Executive Officer, Cambridge Capital Management Corp., a manager of non-traditional sources of financing, since 1983. Ms. Wojtowicz is also a director of Vectren Corporation and a trustee of Windrose Medical Properties Trust, which are both listed on the New York Stock Exchange. Director of First Merchants Corporation since 2004. 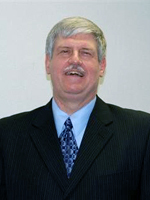 Mr. Marhenke served as President and Chief Executive Officer of Independent Alliance Banks, Inc. (“iAB”) for twelve years until iAB was acquired by the Company. 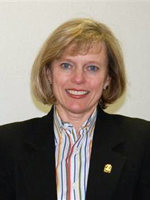 With approximately 40 years of banking experience, Marhenke served as President and CEO of Grabill Bank starting in 2004, serving as Executive Vice President and Chief Operating Officer of Grabill Bank from 2000 to 2004 and Vice President of Business Development from 1998 to 2004. President and Chief Operating Officer of Ball Brothers Foundation located in Muncie, Indiana. Mr. Fisher joined Ball Brothers Foundation in 2003 after working in administration for Old National Bancorp. In addition to his duties as president and Chief Operating Officer of Ball Brothers Foundation, he serves on the boards of several regional and statewide organizations including the Indiana Commission for Higher Education, the Edmund F. and Virginia B. Ball Foundation, and Delaware Advancement Corporation. A Michigan native, Mr. Fisher has an undergraduate degree from DePauw University and a graduate degree from the Indiana University Lilly Family School of Philanthropy. Retired Managing Partner of the Indianapolis Office of Deloitte & Touche (Deloitte) having had responsibilities for marketplace activities and growth. Audit partner for over 25 years serving public and private companies in industries such as financial services, retail, manufacturing, and tax-exempt organizations, including experience with Sarbanes-Oxley and its implementation. Held global, national and regional leadership positions at Deloitte while serving local audit clients and overseeing significant growth as an Indianapolis marketplace leader. Experience in corporate governance as both a board member and as a service provider. Since 1975, Patrick Sherman has been a partner and Certified Public Accountant with Sherman & Armbruster, LLP of Greenwood, Indiana. From 2005 to 2009, Mr. Sherman served on the Lincoln Bank Board of Directors where he served as Chair of the Audit and Compliance Committees as well as served as a member of the Loan and A&L Committees. Retired, Chairman of the Board of Directors, President and Chief Executive Officer, Muncie Power Products, Inc., a manufacturer and distributor of power take-offs and hydraulic components for the truck equipment industry, since 2005. 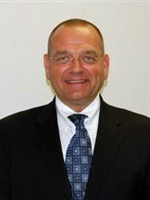 Mr. Walker was Muncie Power's President and Chief Operating Officer from 2000 to 2005. Director of First Merchants Corporation since 2006. William L. Hoy, a graduate of The Ohio State University with a Bachelor of Science degree in Business and a Master of Arts degree in Public Administration, is Vice President, Chief Executive Officer and Co-Owner of the Columbus Sign Company, a custom sign and graphic fabricator, as well as M & B Properties, a real estate partnership, both located in Columbus, Ohio. In the local community, Mr. Hoy has served on the governing board of the YMCA, the Columbus Chamber of Commerce business advisory board and is a long-time board member of The Columbus Zoo & Aquarium, having previously served as president and chairman of the board. Mr. Hoy is a founding director of Commerce National Bank and is a current regional advisory board member of First Merchants Bank's Ohio Region. He has served on the boards of First Merchants Corporation and First Merchants Bank since 2007.